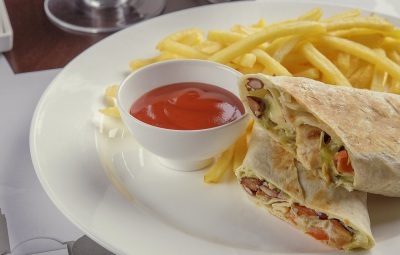 Grilled chicken breast, lettuce, tomato, red beans, sour cream, cheese and your choice of sauce wrapped in a tortilla served with fries. An explosion of a flavors in your mouth, the Mexican plus homemade Guacamole.... Ba Boom!!! 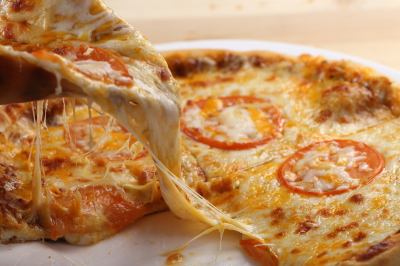 served with fries. 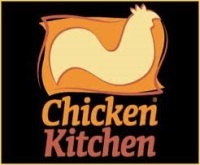 Grilled chicken breast, Sauteed Onions 'n Peppers and melted cheese wrapped in a tortilla, served with fries. 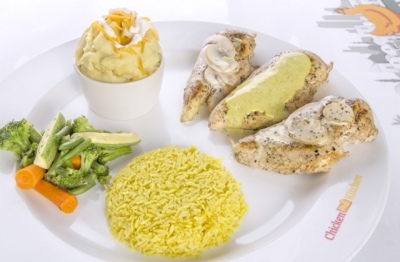 Grilled chicken breast chopped over yellow rice topped with Sauteed Onions and creamy mushroom sauce. 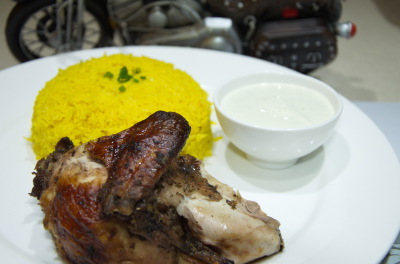 Grilled chicken breast chopped over yellow rice served with two sauces. 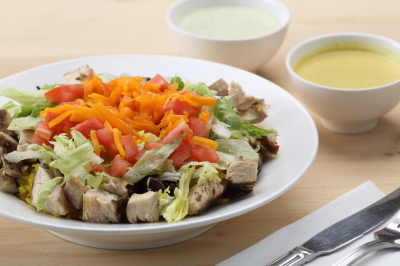 Grilled chicken breast chopped over yellow rice topped with diced tomatoes and shredded lettuce served with two sauces. 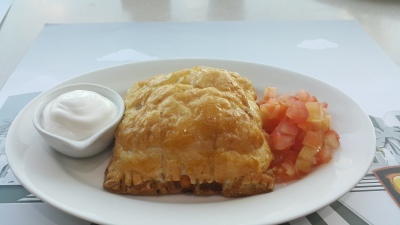 Grilled chicken breast chopped over yellow rice topped with red beans, shredded lettuce, diced tomatoes, sour cream and cheddar cheese served with two sauces. An explosion of flavors in your mouth, the Mexican Chop-Chop plus homemade Guacamole.... Ba Boom!!! 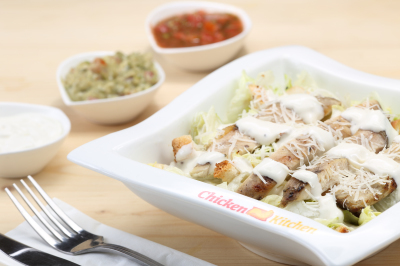 Grilled chicken breast chopped over yellow rice topped with Sauteed Onions n' Peppers topped with melted cheese. 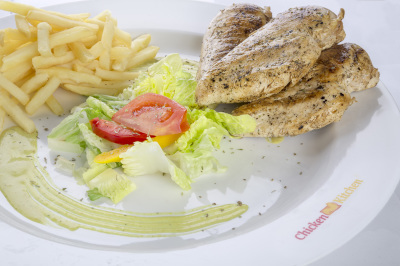 Grilled chicken Fillet topped with homemade lemon n' Garlic Sauce served with your choice of two sides. 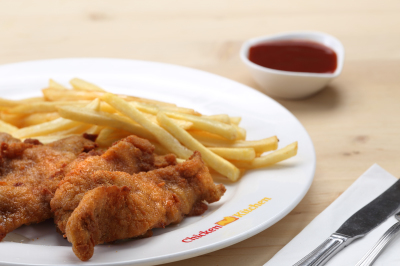 Golden fried cutlet of bread crumbs coated Chicken Breast topped with finely chopped scallions served with slices of lemon and choices of two sides. 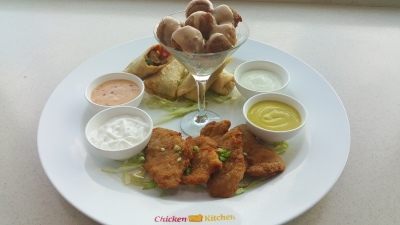 Grilled chicken Fillet topped with homemade creamy pepper mushroom Sauce served with your choice of two sides. 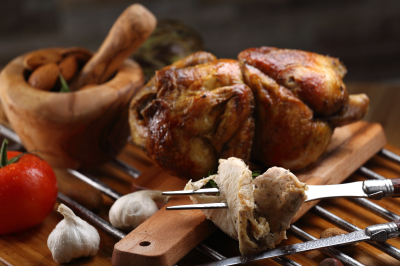 Three Grilled Chicken Fillets topped with your choice of our homemade creamy sauce (creamy mushroom, pepper mushroom, lemon garlic, mustard, mint or carry) Served with choice of three sides. Penne Pasta tossed in a fresh red creamy tomato sauce & olives.